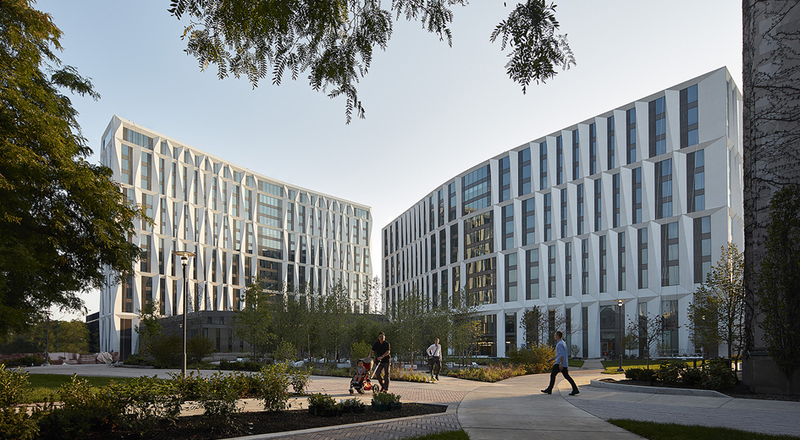 Working with Studio Gang Architects, TGDA designed the University of Chicago Campus North Residential Commons landscape to welcome students, faculty, and residents by integrating the community with campus life. 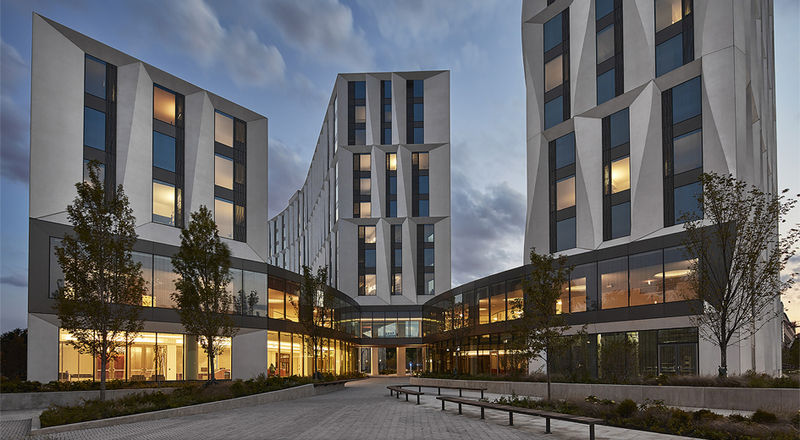 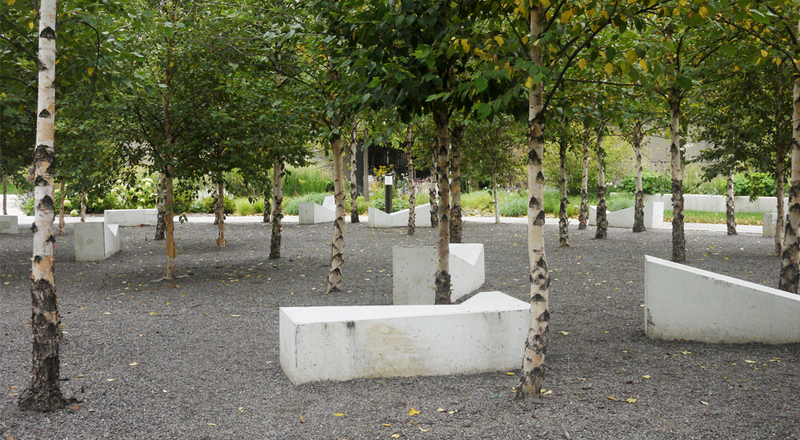 Situated at the entry to the campus, at the corner of 55th and University Avenue, the site serves as a gateway to the University drawing students, visitors, and community members into the site’s diverse, contemporary spaces. 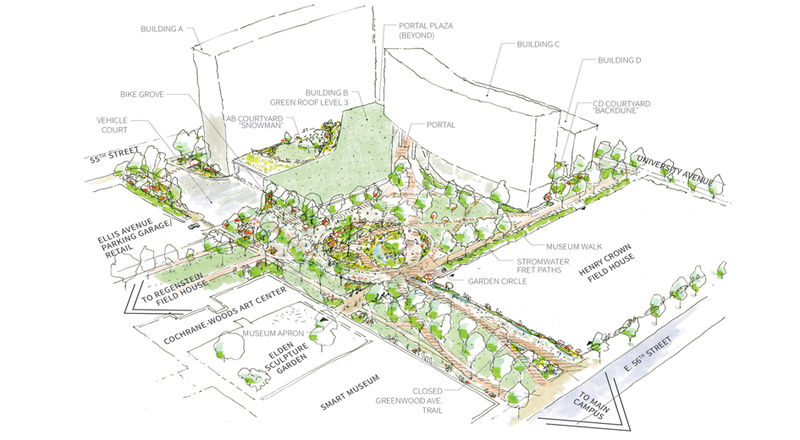 Retail amenities, an outdoor café, and robust plantings move people through the landscape. 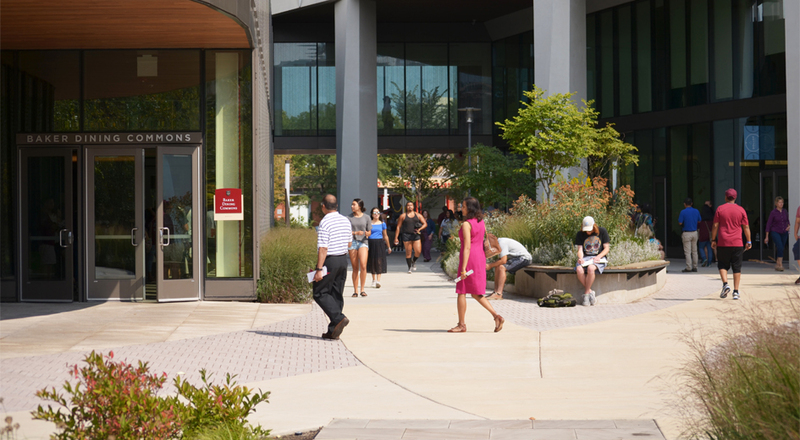 The café offers outdoor seating for the restaurant and retail and is open to both students and visitors. 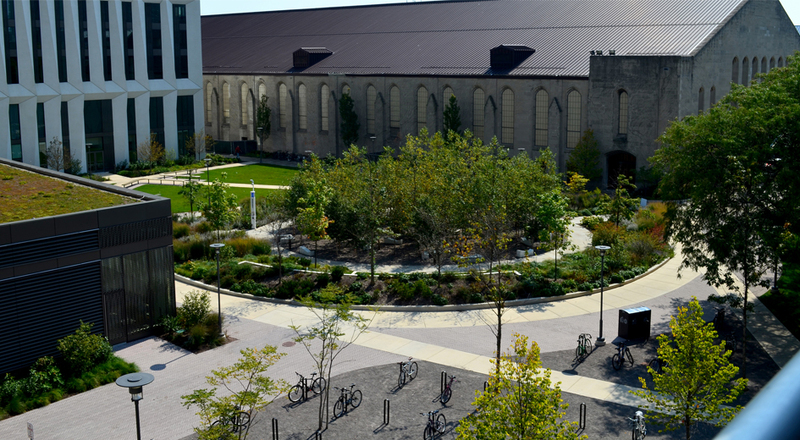 At the center of the new “quad,” the Garden Circle serves as a central space for outdoor classes and study groups. 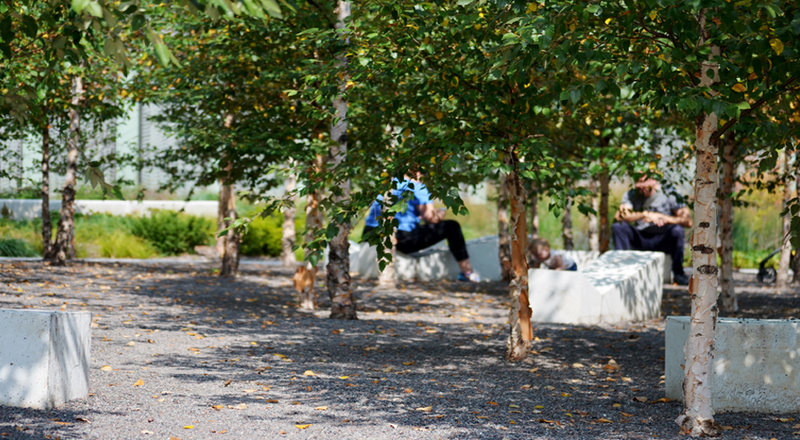 Dynamic amphitheater seating, constructed from owner-salvaged sandstone, provides space for informal events, student gatherings, and people-watching. 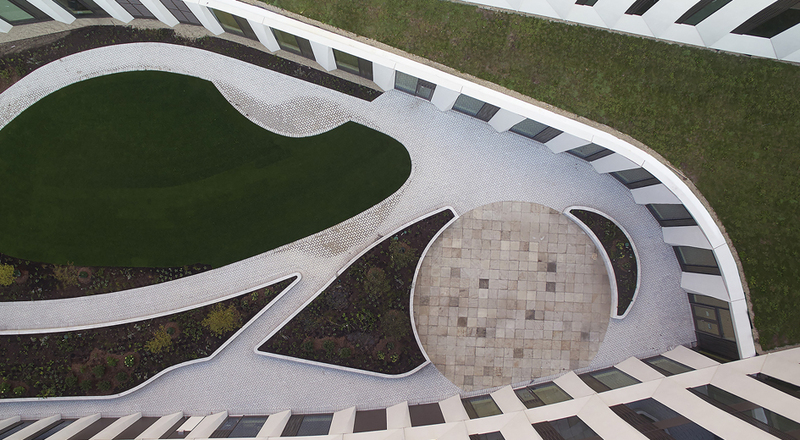 The path encompassing the circle encourages strolling along the gardens for busy students looking for a break from studies. 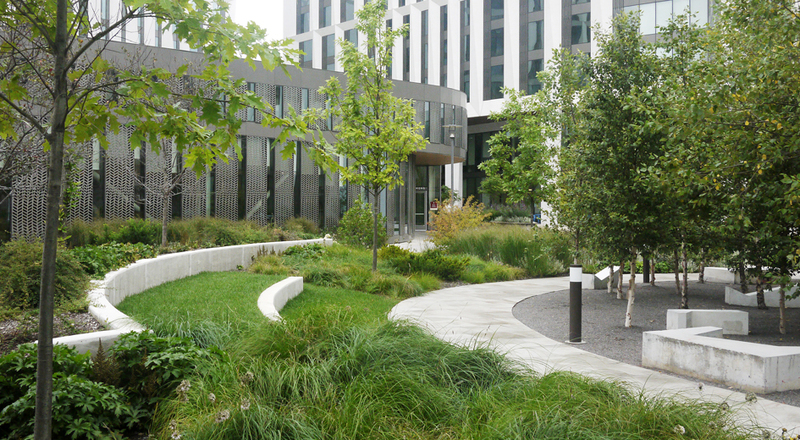 As a contemporary, multifunctional landscape, TGDA addressed stormwater concerns through utilizing native and adaptive species and extensive and intensive green roofs to capture water as it falls on site. 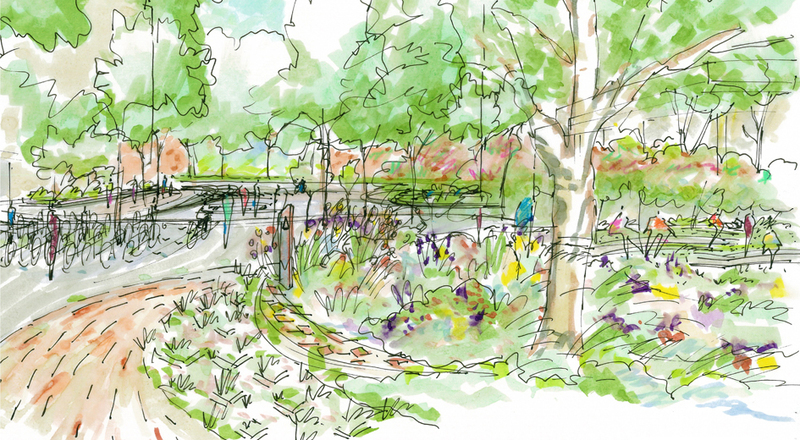 Perennial gardens and porous pavement are also used throughout to increase overall site permeability. 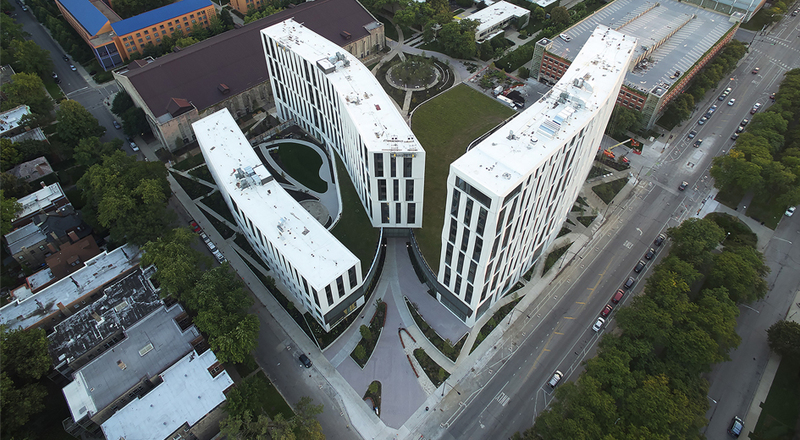 As a result, the University of Chicago Residence Hall landscape emphasizes sustainable vegetation, materials, and practices while simultaneously providing a dynamic, vibrant space for the entire community.